Who invented Pepsi? The name of the person credited with inventing Pepsi is Caleb Davis Bradham (1867 - 1934). Caleb Davis Bradham is not only famous as the American inventor of Pepsi but also as a pharmacist and businessman. When was Pepsi invented? Caleb Davis Bradham invented Pepsi in 1893, during the Second US Industrial Revolution / Victorian period of invention (1850 - 1914). Definition of Pepsi: Pepsi is defined as a carbonated soft drink flavored with extract from kola nuts, oils and vanilla that is produced and manufactured by PepsiCo. Fact 1: Who invented Pepsi? Pepsi was invented by Caleb Davis Bradham in 1893 during the Second US Industrial Revolution era of inventions (1850 - 1914). Fact 2: Who invented Pepsi? Prior to the invention of Pepsi in 1893, The British inventor Joseph Priestley invented Soda in 1767 and John S. Pemberton invented Coca Cola in 1885. Fact 3: Who invented Pepsi? The inventor of Pepsi, Caleb Davis Bradham, was born on May 27, 1867 in Chinquapin, North Carolina, United States and died on February 19, 1934. Fact 4: Who invented Pepsi? The early years of Caleb Davis Bradham were spent in Chinquapin, North Carolina, United States where he was raised by his family. His father's name was George Washington Bradham and his mother's name was Julia McCann Bradham. Caleb Bradham was educated at University of North Carolina and the University of Maryland School of Medicine. Fact 5: Who invented Pepsi? Caleb Bradham had to leave the University of Maryland School of Medicine due to lack of funds as a result of his father's bankruptcy. He returned to his home in Chinquapin to help his family during the financial crisis. Fact 6: Who invented Pepsi? Caleb Bradham took a job as a public school teacher but soon set up his own business by opening a drug store in New Bern in Craven County, North Carolina named the "Bradham Drug Company". At this time in history many drug stores had a soda fountain installed in an attempt to create effervescent mineral waters with curative powers. Fact 7: Who invented Pepsi? Bradham Drug Company had installed a soda fountain and Caleb Bradham invented a new soda recipe, he called "Brad's Drink", consisting of a blend of kola nut extract, pepsin, vanilla, sugar and "rare oils". Cola nuts come from the Cola acuminata and Cola nitida trees of the cocoa family tree, which contain caffeine and theobromine. The exact "rare oils" used in the recipe are unknown but digestive oils like mint or anise were popular at the time and wintergreen oil was commonly used for flavoring. Fact 8: Who invented Pepsi? The caffeine and theobromine in cola nuts acted as a stimulant. Theobromine does not act as extensively on the central nervous system, so is unlikely to cause the shakes and tremors associated with excessive caffeine consumption. The name of theobromine was taken from the genus name for the cacao plant, Theobroma, meaning “food of the gods” in Greek. Fact 9: Who invented Pepsi? The delicious taste of Brad's Drink and its effect which produced a boost in energy, increased alertness and an elevated mood soon became extremely popular at the Bradham drug store. Fact 10: Who invented Pepsi? The popularity of 'Brad's Drink' increased and Caleb Bradham was often asked what the ingredients were. Caleb Bradham told his customers that his recipe included 'pepsin' which was commonly known and dispersed by druggists to aid the digestion process. Fact 11: Who invented Pepsi? In 1898 Caleb Bradham decided to change the name of his soda from 'Brad's Drink' to the more unusual and memorable name Pepsi-Cola. The name was derived from the two main ingredients of the soft drink - pepsin and cola nuts. Fact 12: Who invented Pepsi? On January 1, 1901 Caleb Bradham married Charity Credle of New Bern and the couple went on to have three children: Mary, Caleb, Jr., and George. Fact 13: Who invented Pepsi? The invention of Pepsi Cola and its new branding was a huge success and in 1902 Caleb Bradham filed an application to the U.S. Patent Office for the Pepsi-Cola trademark name and the first Pepsi-Cola trademark was registered on June 16, 1903. Fact 14: Who invented Pepsi? The demand for Pepsi Cola continued to increase and by 1903 Caleb Bradham made the decision to expand and moved the production of the soft drink syrup formula from the drugstore to a rented warehouse that was also located in in downtown New Bern. Fact 15: Who invented Pepsi? In his first year of trading Caleb Bradham sold 7,968 gallons of the syrup and advertised his Pepsi Cola drink with the slogan "Exhilarating, Invigorating, Aids Digestion". By 1904 he had earned enough money to buy the Bishop factory in New Bern for $5,000. Fact 16: Who invented Pepsi? In 1905 Caleb Bradham began selling Pepsi Cola in six-ounce bottles which he emblazoned with his new logo as he expanded to a total of 40 franchises. Fact 17: Who invented Pepsi? Pepsi Cola continued to flourish but this changed in 1920 when Caleb Bradham became convinced that sugar prices were going to rise and bought large stocks of sugar. He was wrong, sugar prices dropped and Pepsi Cola suffered enormous financial losses. Fact 18: Who invented Pepsi? Caleb Bradham did everything he could to save his company but in 1923 Pepsi Cola went bankrupt and its assets were bought by Craven Holding Corporation for $30,000. Fact 19: Who invented Pepsi? After he declared bankruptcy, Caleb Bradham returned to running his original drug store and became an honorary president of a state-owned railroad. He went on to become one of the founders of the North Carolina Naval Militia and when retired, he did so with the rank of rear admiral. Fact 20: Who invented Pepsi? Caleb Bradham died on February 19, 1934 and was buried in Cedar Grove Cemetery in New Bern, Craven County, North Carolina. Fact 21: Who invented Pepsi? In 1931, Loft, Inc. a huge candy company bought Pepsi Cola. In 1950 Alfred N. Steele became President and CEO of Pepsi-Cola. His wife, the famous movie actress Joan Crawford, played a huge role in promoting Pepsi Cola. Fact 22: Who invented Pepsi? The company introduced Diet Pepsi in 1964 and the Mountain Dew brand was also acquired in the same year. In 2001, the Pepsi Cola company acquired Gatorade, the original sports performance drink. 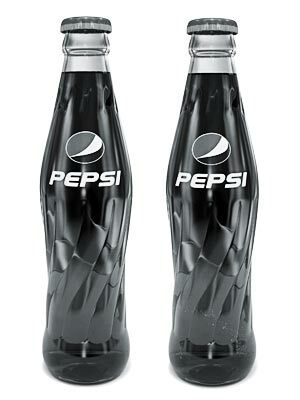 Pepsi MAX was launched in 2007, Pepsi Next was introduced in March 2012 and Pepsi Zero Sugar was launched in 2016.